Morocco brims over with contrast, colour and mystery and all you can do is simply catch your breath in wonder. It has a timeless quality that no longer exists in the modern world, a sense that the past with all its glory and savagery still lives on, threading in and out of the present, informing with its every word and gesture. Just a short hop from Europe, the colourful and cosmopolitan country of Morocco is located at the northwest tip of Africa. An exotic mix of fascinating culture, stunning landscapes and beautiful architecture, Morocco is full of interesting contrasts and historic heritage. Morocco's main airports are located in Casablanca and Marrakech. If you're after direct flights to Morocco from the UK, there are a good choice of airlines including BMI and British Airways. Also low cost flights are operated by easyJet and Ryanair. Explore the winding streets, ancient souks and medinas of the famous imperial cities of Marrakech and Fez and catch some colourful street performances from snake charmers and musicians. 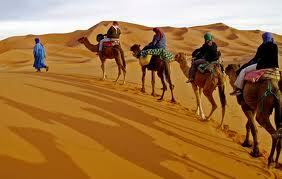 Visit the famous city of Casablanca on the Atlantic coast now Morocco’s trend setter for art, fashion and industry. For some relaxation and beautiful beaches, the town of Essaouira has a laid back vibe and is popular with windsurfers and kite boarders. The stunning Atlas Mountains are perfect for hiking and exploring the Berber villages or head to the golden sands of the Sahara Desert for a camel ride or 4WD dune safari. Try our flight search box to find the cheapest flights available to Morocco, we recommend you avoid travelling during popular times of the year such as over Christmas and during the school holidays to find the best offers on cheap flights. If you need to find great value flights at short notice, we can also find you the most competitive airfares on lastminute flights. Moroccan summers are very warm. Inland you can expect temperatures of around 38C, while coastal options have a slightly cooler and more agreeable average of 28C. Grab some of the Essaouira sea breeze on an Essaouira tour or simply chill out in the sun on Aqadir beach. 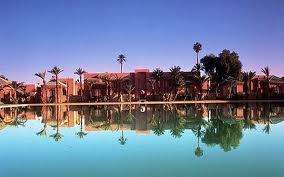 The coldest months in Morocco are December, January and February with temperatures averaging 16-19C.